The Optical Internetworking Forum (OIF) ratified the CFP2 Analog Coherent Optics (CFP2-ACO) Implementation Agreement (IA) in 2016 covering pluggable optical transceivers to support coherent transmission for 100-Gbps as well as 200 Gbps in some metro networks. The CFP2-ACO has become the go-to optical module for coherent 100G applications, and as data centers and telecom service providers look to 200G to address demand, Coriant’s silicon photonics-powered Short Reach CFP2-ACO pluggable for groove network disaggregation platform will help meet those demands. The CFP2-ACO solution is going to provide vendors in the optical module segment a large addressable market as both consumers and organizations continue to access high bandwidth services. The CFP2-ACO technology has great innovations to address these demands, but it also lowers costs when it comes to coherent optics solutions for metro-to-regional reach line-side transport. 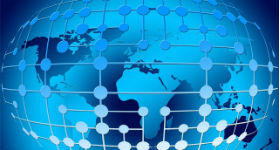 “A faster pace of innovation and the shift to more open, disaggregated network solutions are enabling network operators and content providers to redefine their network architectures for scale, quality of experience, and total cost of ownership,” said J.C. Fahmy, Vice President of Product Management and Business Development, Data Center Solutions, Coriant. going to be powered by Elenion Technologies using its silicon photonics. According to Coriant, this is a new class of analog coherent devices specifically designed and built for surging data traffic growth that can be applied for a range of carrier transport and Data Center Interconnect (DCI) applications. The embedded Elenion silicon photonics engine is a technology that reduces the cost and increases the performance of optical communications by repurposing the silicon microelectronics ecosystem to build silicon chips that can manipulate light as well as electrical signals. As enterprises, data centers, telecoms and other CSPs adopt SDN and NFV to manage the surge in data traffic, Short Reach CFP2-ACO will also contribute by preserving the operational and network engineering simplicity of coherent transmission for short reach interconnect applications. In combination with Coriant Groove G30 Muxponder solution, Short Reach CFP2-ACO is able to support applications requiring 10G, 40G, and 100G service aggregation and 200G DWDM transport with very high-capacity, low power and cost-optimized connectivity. “The Coriant Groove G30 Platform serves as a key enabler of our 100G services in the New York metro area, and we’re pleased to see Coriant enhance the value of this industry-leading solution with a new cost-effective short reach interconnect offering built upon innovations in silicon photonics,” said Jeff Brown, director of product management and marketing for Windstream Wholesale.